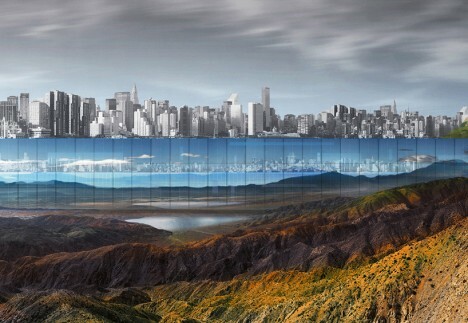 Conceived of as a hybrid, multi-functional work of landscape architecture, this award-winning design proposes digging down to the bedrock beneath Central Park and erecting a reflective “horizontal skyscraper” around its perimeter, providing 7 square miles of peripheral housing with views out over the park. Designed by Yitan Sun and Jianshi Wu and dubbed New York Horizon, the concept received first place in eVolo‘s annual skyscraper competition. The proposal includes a contiguous 1,000-foot-tall (and 100-foot-deep) structure, creating a looping horizontal-and-vertical skyscraper (or: sidescraper). By carving into the ground, new inhabitable areas are created, while mega-structure winds along the freshly-exposed cliff faces. The designers see this move as an inversion of the typical relationship between landscapes and buildings, with architecture forming a framework around outdoor space (versus a plaza surrounding a traditional skyscraper). They also maintain that the project would democratize access to the park by providing more people (who live in the complex) with greater proximity while retaining access points along the periphery for rest of the public (much as currently configured). On the one hand, this approach would indeed create more housing units with direct access to and views of the park, decreasing distance for many residents. On the other hand, the resulting residential units would no doubt still remain expensive real estate, and, in most regards, the park is already quite open and accessible. 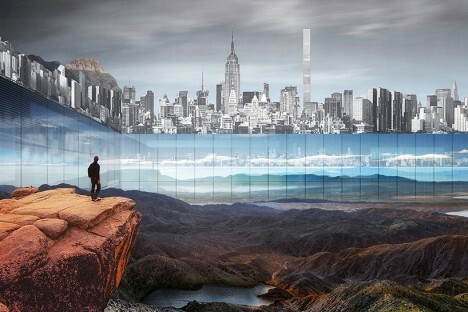 The displaced dirt and rocks from the excavation would be used to create additional three-dimensional topographies around the city, added to parks and open spaces and creating greater variety within the urban park system both in and around Manhattan. 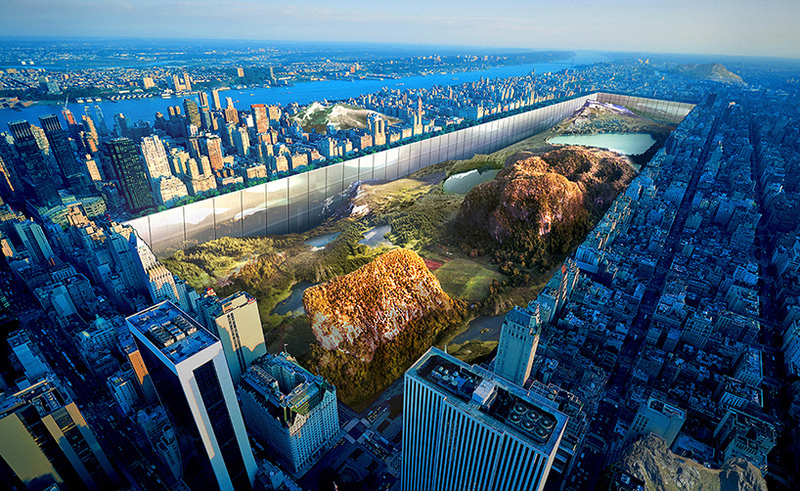 Clearly, this semi-subterranean vision will never become a real project in Central Park, but the prospect of excavating a landscape and creating housing around the periphery is an intriguing idea for future underground urban design, particularly for dense cities lacking residential units and open space. Perhaps sidescrapers will yet see the light of day.